Kepco's power supplies for railroad and mass transit applications are designed and built to help provide high availability DC power for applications where safety and reliability are a must. Our power supplies run the signaling systems on America's largest mass transit systems. Kepco's railroad battery chargers provide battery backup to operate rail crossings and telecommunication systems. Our fault tolerant power systems are ideal for control rooms, access control, fare collection and WiFi hot spot applications. Our most popular railroad power supplies are our ultra-high-reliability ferroresonant power supplies. 60, 120, 180, 280, 300, 450, 1000 watts, industrial power. High efficiency - PRR: 70-80%, PRM: 65-75%. Kepco's PRM series of modular supplies have been powering signaling systems in the New York City Subways for over 50 years. Kepco supplies both standard 60Hz and custom 25Hz. PRM's. Kepco's rack mounted ferroresonant power supplies, the PRR series, are installed in mass transit systems across the United States. The special railroad versions of the PRR's have Power OK signaling relays and railroad style output studs. Kepco's lines of fault tolerant power supplies are ideal for mission critical, control room applications. These fault tolerant supplies ensure that critical systems don't lose power because of maintenance or operational events. 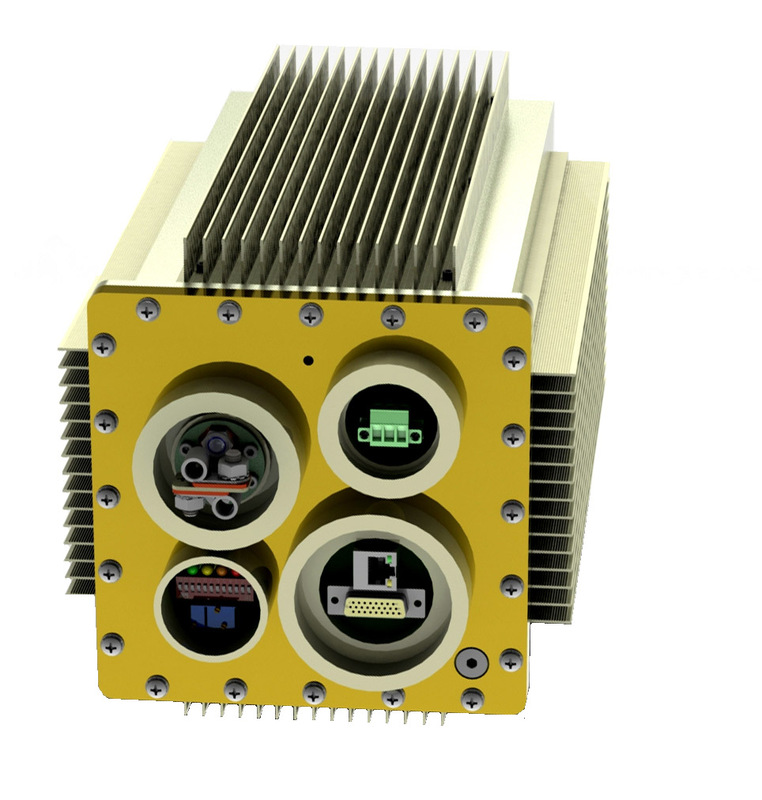 These systems are suitable for both fixed and locomotive mount applications. Our HSP and HSF series provide fault tolerant power in systems ranging from 50 watts to 45 Kw. These systems are also well suited for emerging railroad technologies such as WiFI Hot Spots and Power Over Ethernet (POE) powered fare collection, signage and messaging, access control and biometric identity authentication systems. In addition to railroad application, these fault tolerant systems power important applications around the world. Among the applications are the floor of the New York Stock Exchange, the Alaska pipeline, refinery safety systems and air traffic control systems. Kepco's TBC family of battery chargers provide ultra quite power for telecom systems as well as more general applications. The KRR series of light weight (single man lift) battery chargers are designed to charge lead-acid or nickel cadmium batteries, and are optimized for railroad applications. Standard models are 12V/40A, 24V/20A, 48V/10A; contact Kepco for voltage/current requirements not shown. They are ideal for grade level crossing controls. KRR feature wide range input, adjustable float voltage, adjustable current limit, optional temperature compensation, charging current ammeter which indicates charging current, input protection (line fuses), protection against reversed battery connections, wall mounting and remote On-Off control of battery charger output. Kepco offers multiple families of modular power supplies in sizes ranging from 3 watts to 3000 watts in nominal voltages from 3.3 to 600 volts . We offer both fixed output and programmable supplies. All of these supplies may be either chassis or DIN rail mounted. 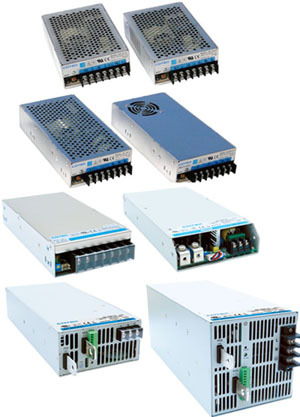 These power supplies are well suited to fare collection and signage applications. In addition to our standard products, Kepco can customize our power supplies for specific applications. Kepco also integrates its power supplies into complete power systems from rack drawers to completely wired cabinets and enclosures. 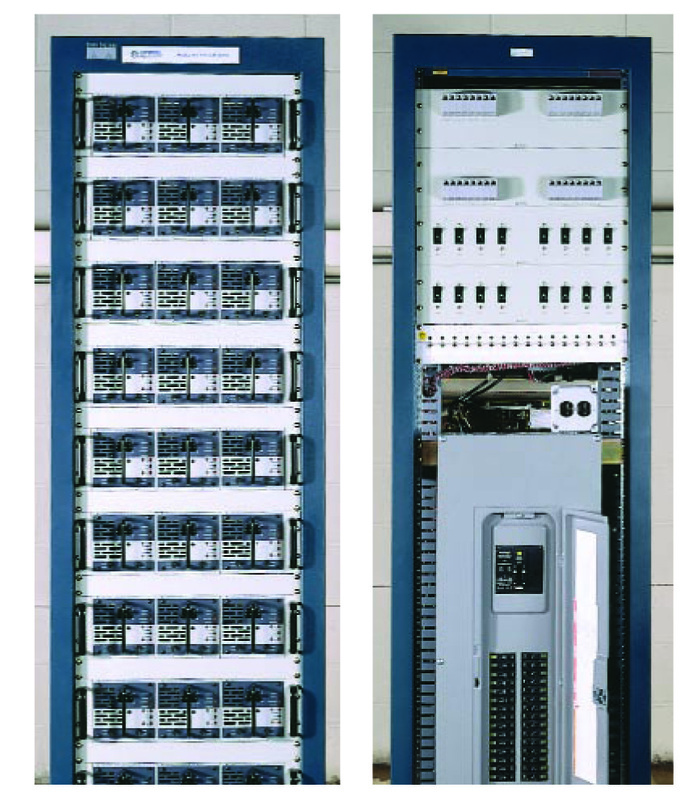 The rack illustrated shows front and rear views of a custom 45KW Fault Tolerant power system using HSP modules. 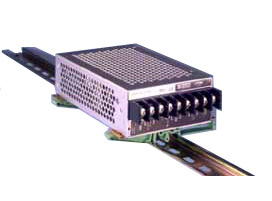 Many of our railroad power supplies are suitable for DIN rail mounting, facilitated by special mounting adapter kits. A variety of orientations are available for mounting the power supplies on the DIN Rail.